Ever wonder how much your Air Miles are really worth? At Flightfox we want our customers to understand the value of these reward miles, so we're sharing our knowledge about Canada's popular Air Miles Reward Program. Air Miles is a pretty big name in Canada and even people who don't know what to do with their Air Miles reward points collect them. The coalition points program has more than 100 partners, like BMO bank, Shell gas, IGA groceries, and the LCBO (the Ontario liquor store) and it allows members to earn points on daily purchases. If you're Canadian you likely have a few hundred Air Miles collecting dust in your account, and if you're an avid Air Miles collector you probably have several thousand, but what should you do with them? Doing all the work for you is what we do best, so we've gone through the program and calculated the best ways for you to earn and use miles. The easiest way to earn Air Miles is through the Bank of Montreal. You earn 1 Air Mile for every $20 you spend with a BMO Mastercard, 1 Air Mile for every $30 you spend with certain BMO debit cards, and 1 Air Mile for every $15 you spend with a Gold BMO Mastercard (that has an annual fee). You also earn Air Miles when you make purchases at Air Miles' retail partners like Shell, IGA, LCBO etc. when you swipe your Air Miles points card as you pay. For example if you buy $30 of gas you get 1 mile. The best way to earn a large number of Air Miles is with promotions. You can earn up to 2,000 Air Miles by signing up for a BMO credit card or bank account (which is equivalent to spending $60,000) and all the Air Miles sponsors host occasional promotions offering x2, x5 and even x25 times the Air Miles point on purchases. Bonus: Soon you'll be able to trade and share Air Miles points between members (for a cost of 15 cents per mile), but for now you're stuck with one of the first four options. How can you redeem Air Miles? There are three main ways to spend your Air Miles: Gift cards, Products and Travel. We looked at the different ways you can redeem your Air Miles and determined the value of 1 Air Mile. Put plainly, one Air Mile is generally worth about 10 to 15 cents (even though they cost 30 cents each if you purchase them on the Air Miles site). Read on to find how we worked it out. Many people redeem their points for gift cards because it's almost like getting cash back. You can earn Air Miles and then spend them at gas stations, grocery stores or retail shops you would normally shop at anyway. However, Air Miles is always modifying their rewards, and gift cards that used to be very popular or that had a great value have now been removed or replaced. At this point, all those people still buying gift cards from Air Miles are getting a pretty poor value for their points. 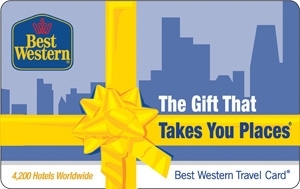 If you want to buy a $100 gift card (let's say a Best Western Travel Card) it will cost you 950 reward miles. If you take the retail value of the card ($100) and divide it by the number of Air Miles needed to redeem it (950) then you get the value of one Air Mile in Canadian dollars. Therefore 1 Air Mile is worth 10 cents. Air Miles introduced a new points system, Air Miles Cash rewards (versus the original Dream rewards) where instead of gift cards you can automatically get 10$ off when you shop with Air Miles sponsors once you've earned enough points (you must have a minimum of 95 Air Miles). This is the new system they've created which allowed them to justify removing all of their most popular gift cards for gas, groceries and VIA Rail trains. With the new plan, Air Miles are worth about 11 cents each. But to earn 95 Air Miles (assuming you go the traditional route of 1 Air Mile for every $20 spent) you would need to spend $1,900, and only then would you get your $10 savings. People love using their Air Miles points to buy products because they don't have to pay additional taxes or fees, and according to our calculations you get a bit more bang for your buck value-wise. Say you want to buy a Citizen watch, retail value $430. Air Miles is offering the watch for 3,000 Air Miles. The monetary value of each Air Mile in this transaction would be $0.14. One of the "popular picks" on Air Miles is a Breville Panini Press for 900 points. The panning press is valued at $99.99, giving the Air Miles used in this transaction a value of $0.11 each. For this particular product, 1 Air Mile is worth 11 cents. However, an identical panini press can be found on the popular Rachel Ray store online for only $70, bringing the Air Miles' value down to a miserable $0.08 each. If 1 Air Mile is worth 20 cents, that's fantastic value, but there's a little catch. This Cineplex Night Out Movie Package is available for sale at Costco stores for only $24.99. That brings the Air Miles value down to 12.5 cents per mile… less exciting, but still better than a gift card. Maybe it's best to do your shopping in stores and spend your Air Miles where they have real value… in the air! Travel is really what Air Miles is all about, and the best way to redeem your points is for flights. But once you have enough points for a flight you still have to pay taxes and fees. For many, these fees can be discouraging, but bear with us. For a typical international flight, let's say Montreal to New York City, a reasonable retail price for round-trip tickets in off-season is around $385 (on the Air Miles website). You need 1,200 Air Miles to redeem this flight and you need to pay an additional $201 in taxes. If you subtract the taxes and fees from the original retail price you get $184, which is what you're actually getting for your 1,200 Air Miles. But when we talk about travel points we don't often speak in simple dollars and cents, we talk about CPM (cents per mile). Montreal (YUL) to New York (JFK), using our previous calculations, comes out to 15.33 CPM. We've also noticed that the retail price of a flight shown on Air Miles is often not what travellers expect to pay. 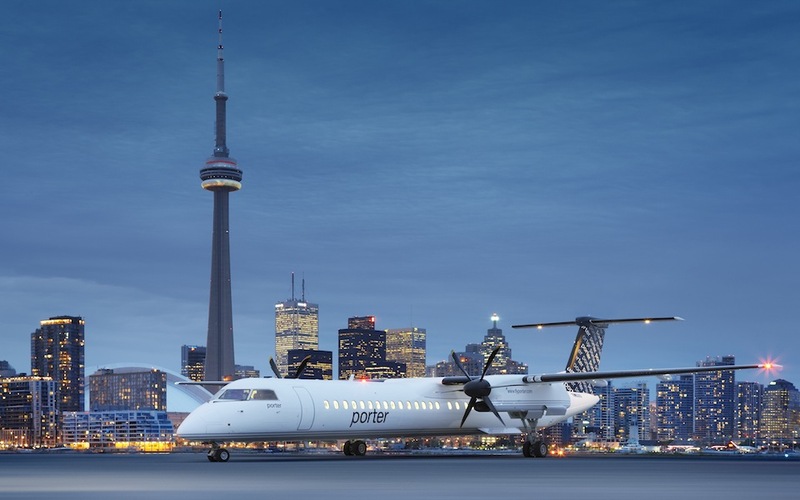 Air Miles lists a round-trip flight from Montreal to Toronto in low season at around $380, but not many people are willing to pay that price when they can easily find deals for $250 or less on sites like Kayak or Expedia. So here's how we calculated the value of Air Miles for typical domestic flights. You need 1,025 Air Miles to make a round-trip flight from Montreal to Toronto and you must pay $201 in additional taxes and fees. That works out to about 17.46 CPM based on the Air Miles listed price, making it one of the best Air Miles values we've seen yet. However, if you use the typical Kayak price for this trip, subtracting the taxes you still have to pay when you use your Air Miles, the points have a pathetic value of 5 CPM. That's not really exciting is it? We want to show you how to really maximize the value of your miles, so let's get to the fun stuff. There are two main ways to maximize the value of your Air Miles when travelling, and we found this by running two different tests. Looking at some of the most common one-way flights around North America we calculated two different CPM values. The first is the "Air Miles CPM" value using the cash price listed on the Air Miles website for available flights. The next is a much more realistic "Kayak CPM" using the (usually) cheaper prices from Kayak.com for similar but not exact flights. Here's what we found. If you book last-minute you get a significantly higher value for your Air Miles. 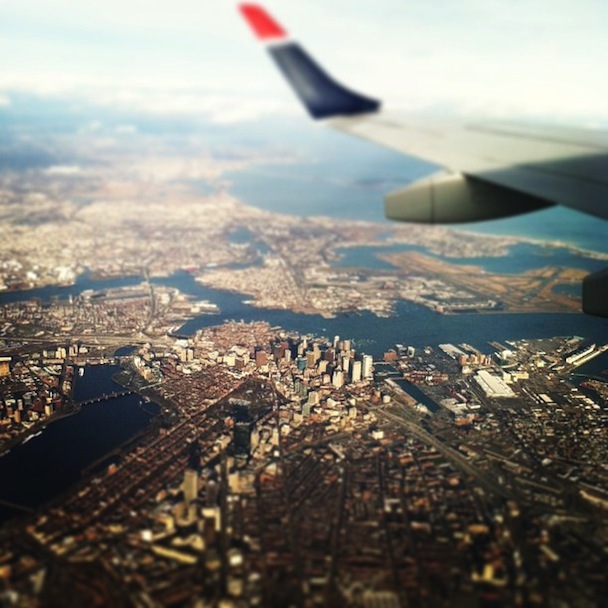 Flying these routes last-minute shows 1 Air Mile is worth 31 cents on average. Purchasing these flights in advance shows 1 Air Mile is worth 16 cents on average. The value of your Air Miles for some of the last minute flights is incredible, peaking at 145 cents per mile (CPM) for a last minute flight from Montreal to Boston. But considering hardly anyone would pay $1,200 for a flight to Boston from Montreal, the more realistic value to remember is the one on the far right, which was calculated using the lowest price on Kayak. The reason all the last-minute flights have a value of more than 20 CPM is because flights are generally much more expensive in the days leading up to take off (check out our airline pricing guide). If you redeem points for flights, you want the value of that flight to be as high as possible because Air Miles has a set of standardized points and taxes for each flight during low or high season, regardless of whether or not that flight is the next day or the next year. First off, a short-haul flight is how Air Miles labels inter-provincial flights. It may not sound like the most exciting way to spend your points but from what we’ve gathered it gets you a great value. We looked at all kinds of comparisons to find the best value of Air Miles. There wasn’t a significant difference between high season and low season and there wasn’t even a strong difference between the value of Air Miles used towards domestic or international flights. But last-minute bookings and short-haul flights had the most value, so naturally, when paired together it’s a winning combination. Even the Kayak CPM values for these last minute short haul flights are incredible, peaking at nearly 104 cents per mile. Now that’s a deal! Flying short-haul routes last-minute shows 1 Air Mile is worth 71 cents on average. The cool thing about all these short haul flights is that they stop-over in neighbouring provinces. That means instead of getting a bad deal on a ticket from Montreal to Toronto, you can get a great deal on a ticket from Montreal to Quebec City and just get off the plane at its Toronto stop over. Some of the direct domestic flights have a CPM value of less than 6 CPM, and that’s not worth using your Air Miles for. You can see that it costs less miles and less taxes to redeem a flight from Montreal to Quebec City that stops in Toronto than a flight from Montreal to Toronto. 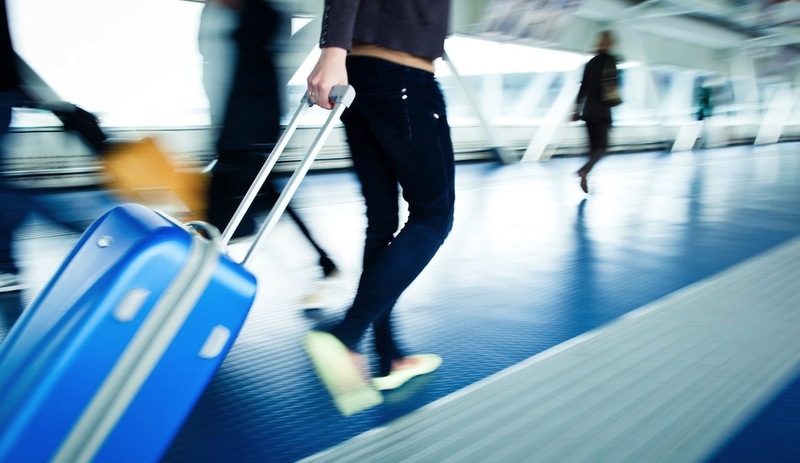 So if you want to redeem your Air Miles in the best way possible, pack light and take a last-minute short-haul flight! Clearly travel is the big winner in this Air Miles redemption showdown, but how long does it take to save up enough points for a flight? And can you afford to travel instead of spending those rewards on groceries and gas? Considering more exciting round-trip flights like Toronto to Paris (5,475 Air Miles + taxes) or Vancouver to Sydney (11,550 Air Miles + taxes) cost considerably more, it would take so long for the average person to collect that many Air Miles they would start expiring before he or she were able to cash them in. But don't fret, there are ways of collecting massive amounts of Air Miles in order to travel and get the most value for your points. How can you earn a lot more Air Miles? The average person whose primary bank account is with BMO can expect to earn close to 50 Air Miles a month (depending, of course, on his or her expenses). Use your Air Miles credit and membership cards for business purchases. Use your BMO Mastercard for all your purchases (similar to the way most people use debit). Be on the look out for promotions and take advantage of them. That means finding the shops that are offering x25 the Air Miles rewards or hundreds of bonus Air Mile points and waiting to make your big purchases during those promotional windows. It also means shopping at stores like Safeway grocers that offer bonus Air Miles when you buy items on special, like 100 extra Air Miles for a fresh chicken breast. Just have a read of how the Pudding Man now flies anywhere for FREE. How can you use Air Miles most effectively? Unlike other reward and loyalty programs, Air Miles doesn't allow its members to fly business or first class. It's generally understood that using reward points or frequent flyer miles to upgrade an economy ticket to a premium seat is the most effective use of your loyalty rewards (like we explained in the Qantas article) but that option just isn't available for Air Miles members. Even without premium flight offers, travel is still the best way to get the most value for your Air Miles points, primarily with last-minute travel or short-haul flights (and especially last-minute flights that are short-haul). Air Miles not only offers deals on flights, they also have specials on vacation packages, cruises and all inclusive resorts that give Air Miles members hundreds of dollars off if you book before a certain date, but that's all about catching the right deal at the right time. You may not get a free vacation or even an entirely free flight when you use Air Miles collector points, but if you want to get the most value from your Canada Air Miles points, then travel is the way to go. And hey, if you're still worried about putting your Air Miles reward points to good use then launch a contest on Flightfox for your next trip and make sure you tell our flight experts how many points you've saved up so they can try and stretch their value as much as possible.